Red root (Ceanothus americanus) is a shrub native to eastern North America. It also goes by the names wild snowball and mountain sweet. The name New Jersey tea was popularized during the American Revolution, since its leaves were used as a substitute for black tea. Many of the Ceanothus americanus uses and benefits were discovered by the Native Americans. For instance, the Chippewa used red root for shortness of breath, bloating, and constipation. The Cherokee also used the root as a digestive tonic. And the Iroquois used it to treat diarrhea and colds, and to improve blood flow. Native Americans also used red root tea for catarrh, fevers, sore throats, skin cancer, venereal sores, and wound healing. In this article, we will examine the health benefits of red root in further detail. You will also learn more about the taste of red root, how to use it, and the potential side effects of this herbal remedy. There are many health benefits associated with red root. It is an important herb that’s used for respiratory complaints, sore throats, digestive issues, hemorrhoids, healthy gums and teeth, acne and skin problems, detoxification, lymphatic drainage, nosebleeds, and headaches. Below we will take a look at some of the key health benefits of red root in further detail. The mucus-clearing and antispasmodic properties of red root allow it to treat asthma, whooping cough, chronic bronchitis, sinusitis, tonsillitis, colds, sore throats, and coughing in general. Red root is able to reduce inflammation and the severity of coughs. At the same time, it can increase fluidity of mucus in the bronchial tubes and lungs while also loosening and expelling phlegm from the lungs. 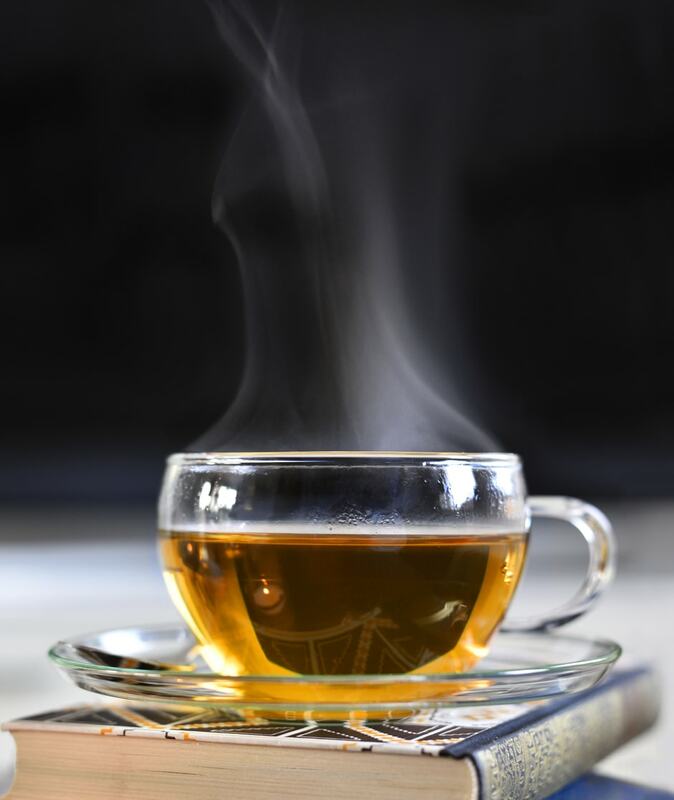 Gargle cooled red root tea several times daily until your respiratory infection has cleared. Red root can also be used to promote a healthy digestive system and treat digestive complaints. The antispasmodic properties of red root allow the muscles of the digestive tract to function at their best. As a result, it is often effective for abdominal pain, gas, bloating, diarrhea, constipation, indigestion, irritable bowel syndrome, and hemorrhoids. For hemorrhoids, simply soak a cotton ball in red root tea, and press it against your hemorrhoids daily until the pain and swelling have subsided. The astringent and antibacterial properties of red root make it an effective mouthwash and bad breath fighter. As a result, red root is able to treat gum diseases like gingivitis, as well as bleeding gums, canker sores, tooth decay, and tooth loss. It can also prevent the buildup of dental plaque—a major risk factor for gum disease. The antibacterial and astringent properties of red root are also beneficial for skin problems like acne, blemishes, lesions, and minor wounds. For a skin cleanser, simply soak a cotton ball in red root tea, and apply it over the affected area of your skin. Red root is considered an excellent detoxification herb. Detoxification is important since most daily diets and lifestyles introduce a high amount of chemicals and pollutants into the body that wreak havoc on your internal organs, especially the liver and kidneys. You can also use red root for lymphatic drainage. This is because red root tea is effective for treating lymphatic dysfunction—also called lymphedema. Since the lymphatic system is a big part of the immune system, lymphedema can also lead to infections, skin changes or discoloration, blisters, and problems swallowing or breathing. Illnesses due to a sluggish lymphatic system include tonsillitis, sinusitis, arthritis, Lyme disease, cancer, and heart disease. A depleted lymphatic system can also lead to headaches, sleep problems, obesity, fatigue, and muscle soreness. Red root is also a traditional remedy for reducing bleeding such as nosebleeds and uterine bleeding. The astringent properties in red root will constrict ruptured capillaries and reduce bleeding. As a result, the blood will clot and the break will seal. To treat nosebleeds, simply soak a cotton ball in cooled red root tea, and put it into your nasal cavity. At the time, be sure not to push the cotton ball too far into your nose. The nervine, sedative, and relaxant properties in red root allow it to ease painful headaches. For those who suffer from recurrent headaches, daily red root tea can help reduce their severity. When headaches result from a sinus infection or cold, red root will help alleviate the congestion that causes the pain. Red root can be used in powder, tincture, or capsule form. Red root oil is another option, as is caffeine-free red root tea. It can also be prepared as a hot tea infusion, cold infusion, or decoction. As a tea, you will want to use half a teaspoon of powdered red root in eight ounces of boiling water. Simmer covered for 15 minutes, then strain the tea before you drink it. You can consume up to six cups of red root tea daily. For a stronger red root decoction, simmer one ounce of red root in 16 ounces of water. Use one tablespoon of the decoction three to four times daily. For red root tincture, use six to 12 drops in a glass of water or juice, and drink up to three times daily. What Does Red Root Taste Like? What does red root taste like? Well, as an astringent herb, the leaves and root are bitter. Some people believe that red root leaves taste similar to black tea, which comes from the Camellia sinensis plant. Since tea was scarce during the American Revolution, red root tea was used a substitute. If you cannot tolerate the taste due to its bitterness, it will help to combine it with juice. It has no odor; however, some people claim that it smells somewhat like a peach. Interestingly, the root has been sometimes used to dye wool a cinnamon color. Red root is considered safe even when used over long periods of time. Although most adults can use it without concern, there are also some precautions to consider. For instance, due to its coagulant properties, red root is not recommended when taking blood-thinning medications. Also, since red root may prevent iron absorption, you should avoid taking red root if you rely on iron supplements. Like many other herbs, red root is also not recommended for pregnant or breastfeeding women. Moreover, you will want to consult your doctor before taking any herbal remedy, especially if you take prescription medication. Also, make note that red root is not the same thing as bloodroot, which is sometimes also called redroot. These are entirely different plants. Again, red root is made from C. americanus and bloodroot is made from Sanguinaria canadensis. Red root has a long reputation as a medicinal herb and was heavily used by Native Americans for a number of health concerns, such as shortness of breath, colds, and digestive issues. Today, you can also use red root for gum disease, headaches, nosebleeds, skin health, detoxification, and lymphatic drainage. For the right dosage of red root (Ceanothus americanus), please consult an herbalist or a natural health practitioner with knowledge of this herbal remedy. Your herbalist or other practitioner will also know everything about the potential side effects or precautions to consider with red root. It is also worth noting that red root is made into the homeopathic remedy ceanothus. This remedy is used to treat nervous excitement with chilliness; lethargy with tenderness, swelling, and pain in the spleen; and serious lymph or blood disorders like Hodgkin’s disease and leukemia.